Born in Lincolnshire, England, Paley emigrated to the United States where he became an X-Ray (Röntgen ray) exhibitor until his health started to suffer from the effects of this apparatus (the first of several bouts of illness which were to dog his life). But Paley was an inventive man, and abandoning X-rays, in 1897 he built a film projector which he named the Kalatechnoscope, and was soon taken on as a cameraman by the Eden Musée, partly to film a version of the Passion Play staged on a New York rooftop. But a more adventurous assignment was about to begin: war was brewing with Spain at this time, and in March 1898 Paley contracted with the Edison company to film incidents from it, and took his first war views the same month, showing US troops ready for embarkation in Florida. In June he joined the dozens of journalists following the troops as they invaded Cuba. Paley was soon known among the war correspondents as 'the Kinetoscope Man', distinctive both for his own bulk and for the novel camera he operated. But he found that filming warfare was not easy: expecting to see cavalry charges, instead it was a war of hidden snipers, and Paley sadly concluded, 'I don't think there is much in this campaign for the kinetoscope'. Then his camera malfunctioned, and living out in the open, constantly soaked by the rain he went down with fever, and almost died on the voyage back to America. But following recovery he returned to camerawork, and the following year established a long term arrangement with the showman F.F. Proctor, over the next few years filming various scenes around New York and wider afield in Quebec, as an Edison licensee. 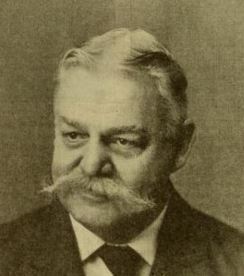 By mid 1904 Paley had formed a partnership with William F. Steiner, and they began releasing short comedies. But at this time the Edison company was cracking down on independents, and in November they sued several companies including Paley-Steiner, and by the summer of 1905 the partnership was being dissolved. 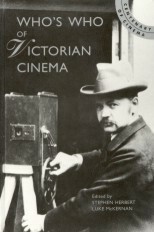 This was not the end of Paley's woes: in late 1906 or early '07 he was forced out of business as an independent producer and renter and was looking for work as a freelance cameraman. He next surfaced in 1910, shooting westerns at the Star Film Ranch in San Antonio, Texas for Gaston Méliès (brother of Georges). The following year the company moved to California, and it is likely that Paley spent much of the rest of his life in the West. In March 1912, employed by the Nestor Company to film the California mountains he suffered a fall, and one leg had to be amputated. Ageing and almost destitute, his colleagues started a fund to help him, and though only a few hundred dollars was raised this must have made life a little easier during his final years which were spent at Forest Lawn, Hollywood.